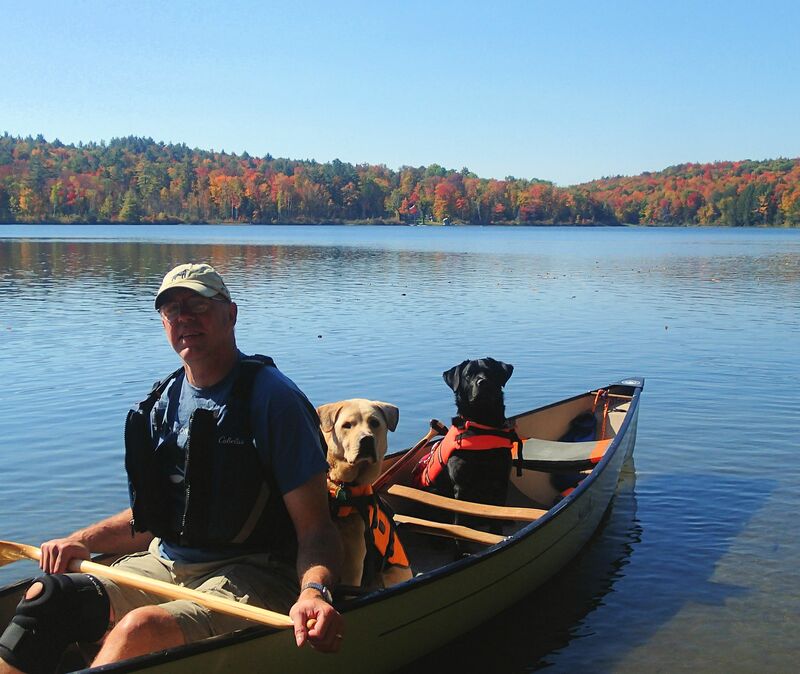 “The colours of the trees have changed, the landscape palette rearranged” Robert Patinson | Vermont Paddle Pups! 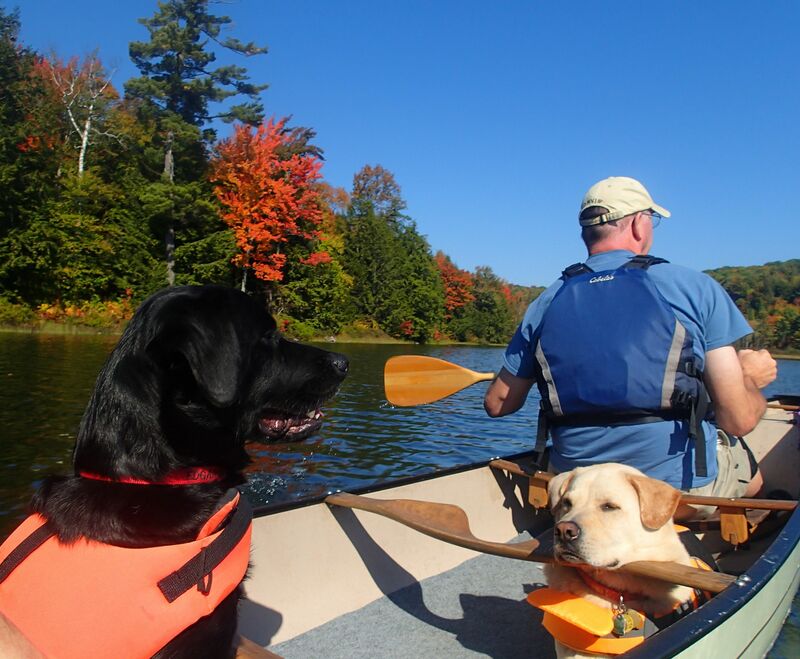 Warm temperatures, brilliant sunshine, dark charcoal skies, light winds, no rain falling…all factors that have contributed to a colorful period of fall hiking and paddling. 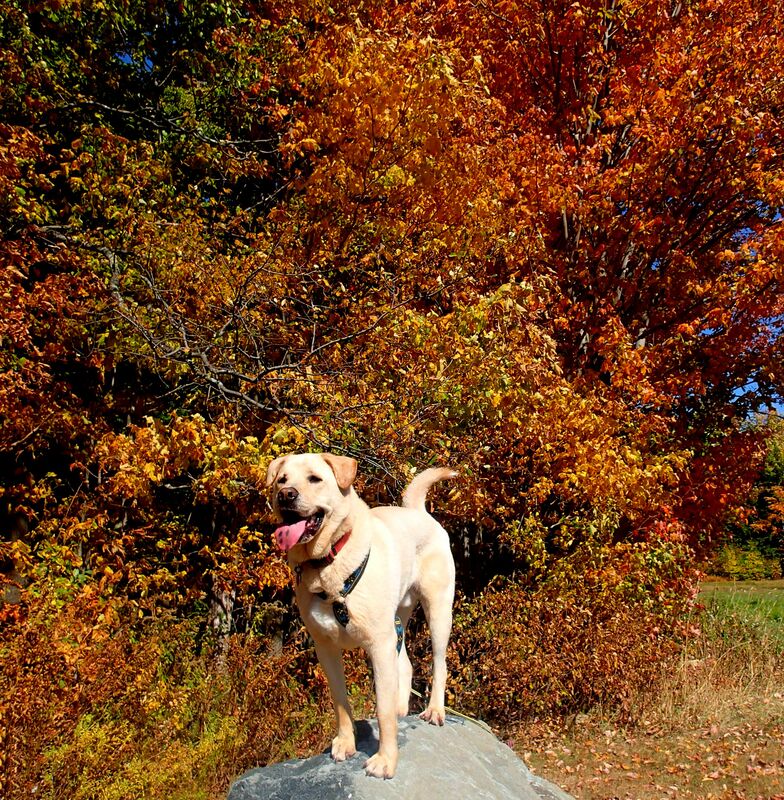 We present an album for your enjoyment, highlighting the brilliant colors of autumn in Vermont ! A few hours exploring the (now closed for the season) state park….overlooking one of our frequent paddling spots. 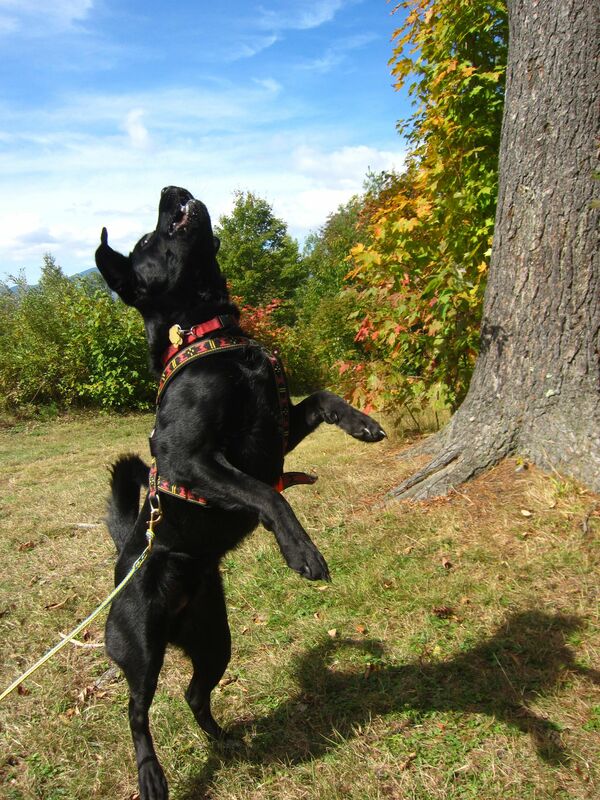 Edgar dances for joy…he loves the cooler temperatures of autumn! 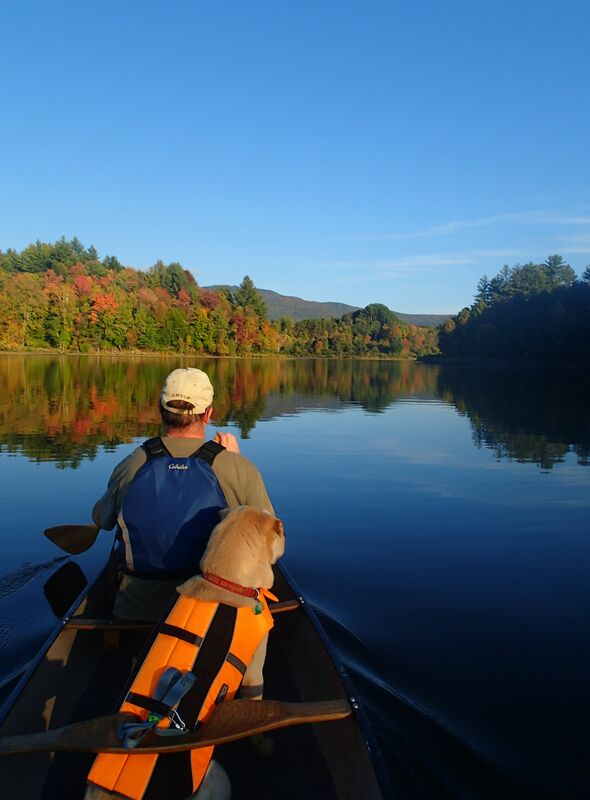 Early colors showing for a late day paddle…. 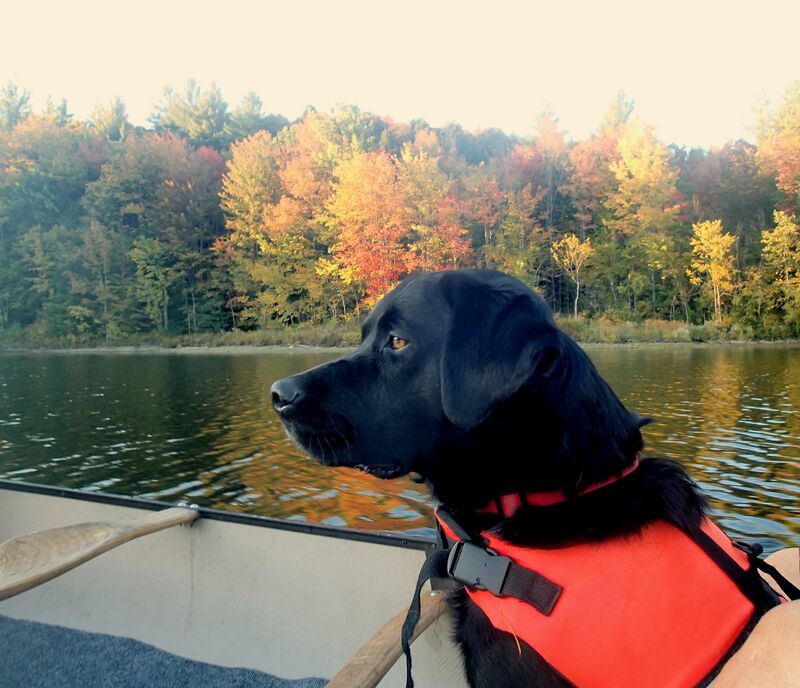 Calm evenings make for reflective moments…. Sometimes we have to “play tourist” , and pull over for a photo! 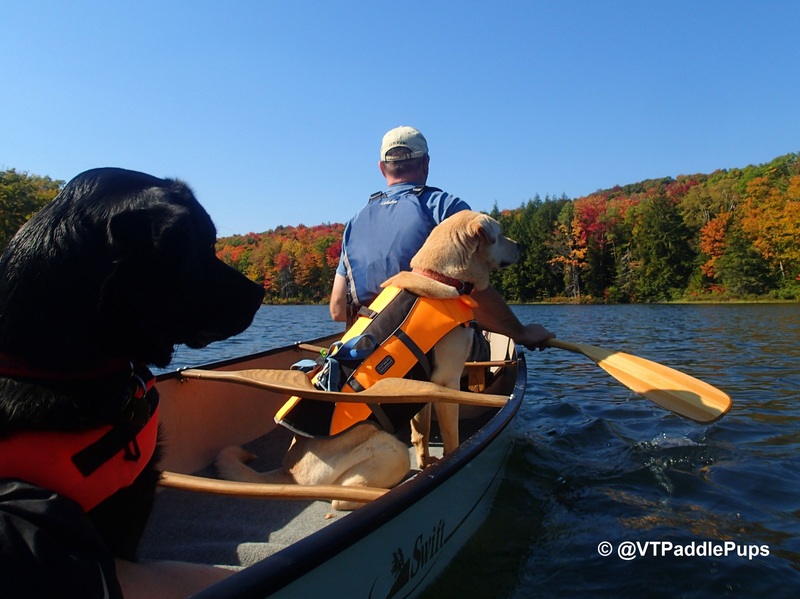 Great paddling in some new ponds…so much fun to explore as the foliage nears peak brightness! 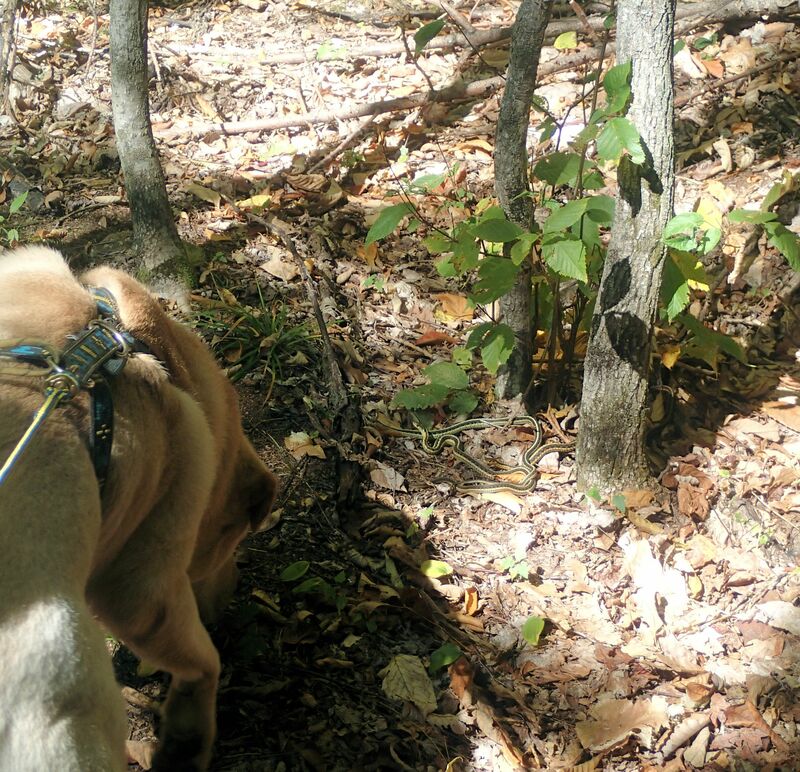 Griff loves hiking on our local trails networks…. 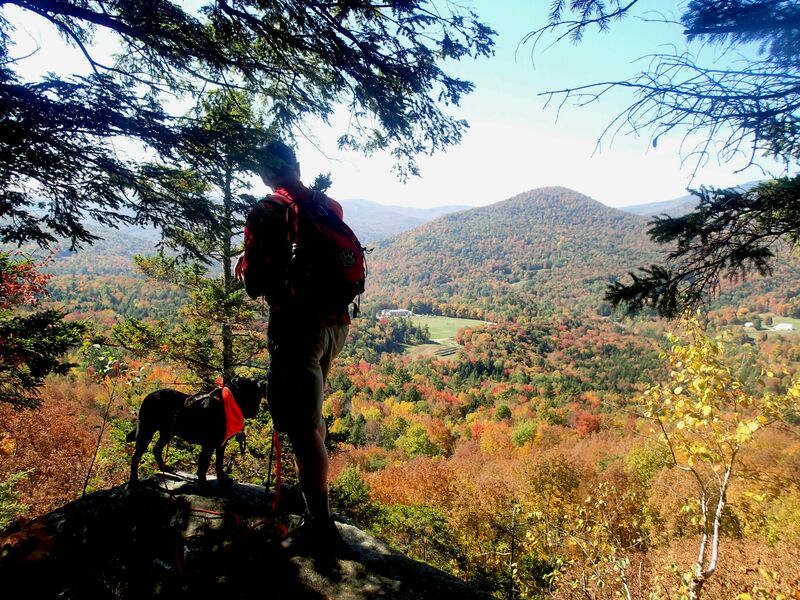 We celebrate the end of September, with a short, but sometimes steep and scrambly, hike to a beautiful vista overlooking the Mad River Valley….. Colors are stupendous this year! 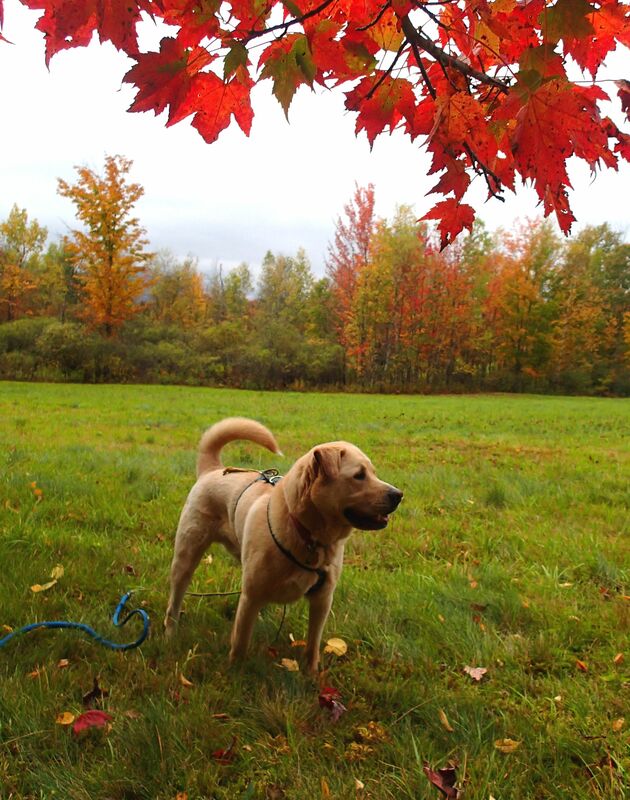 Edgar wears his orange bandanna now…it is bear season in Vermont! Edgar and Griff did not quite know what to make of the nest of snakes…thankfully, we have no dangerous snakes in our area! 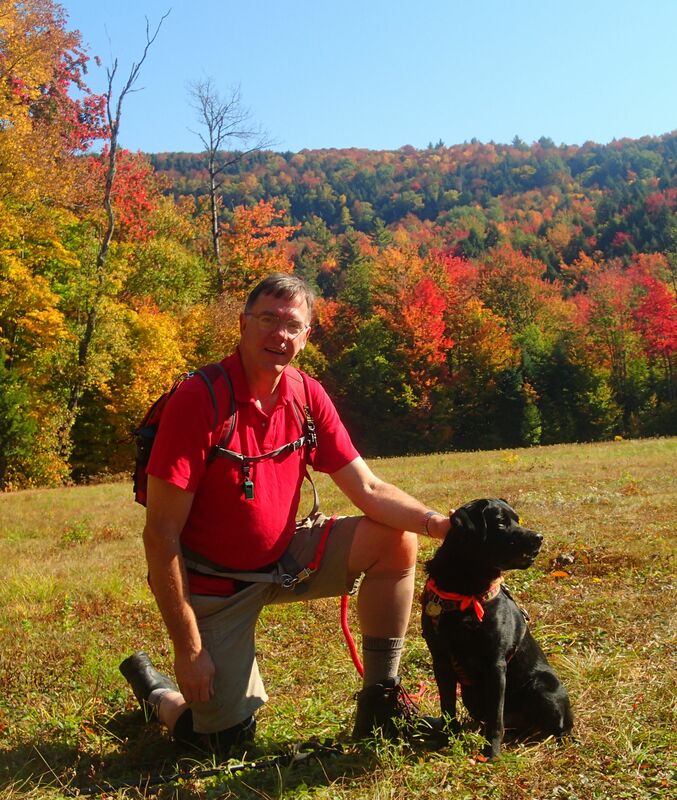 Proud dad and his dog….. 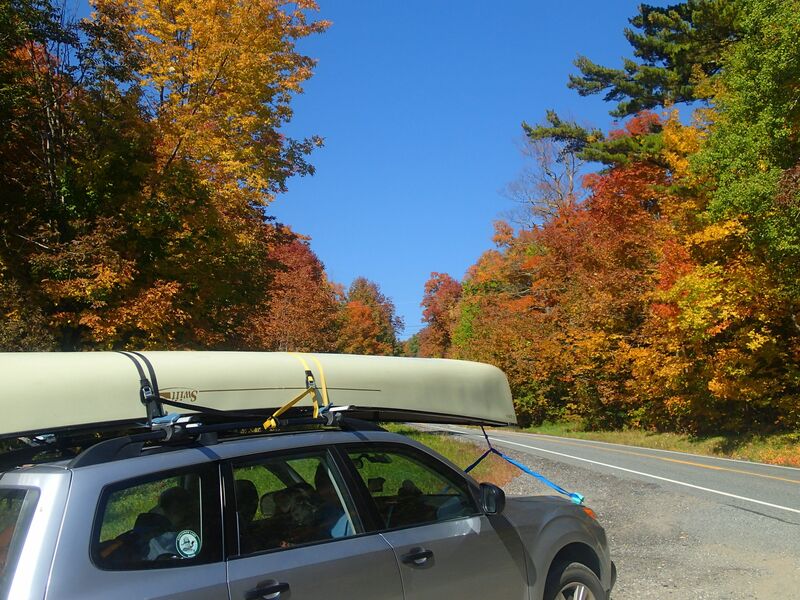 So now we enter October….our final canoe camping trip is this weekend. Wanna know when it is going to rain? ; just check our camping schedule! It has not rained in 8 days, but looks like we’ll be tenting under the drops this weekend! 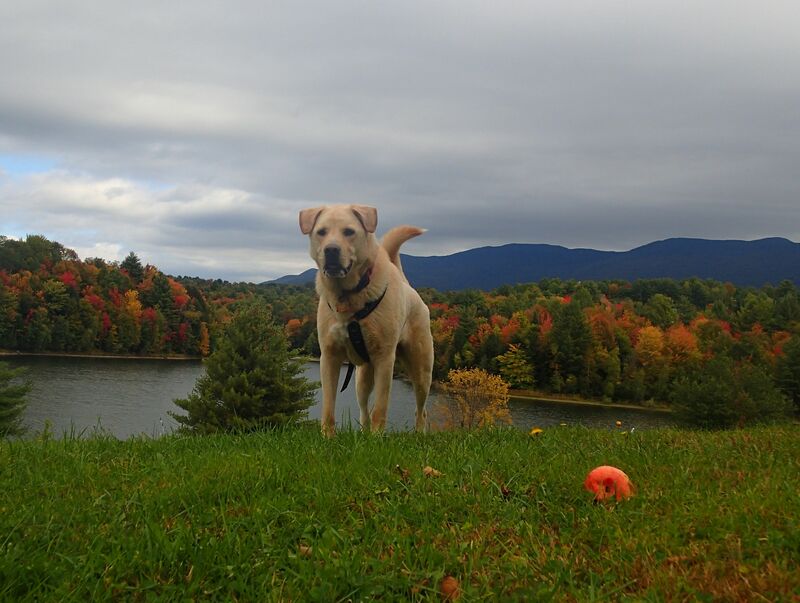 We’ll also be attending the Northern New England Sled Dog Trade Fair. That will get us all psyched up for the upcoming snow sports season!